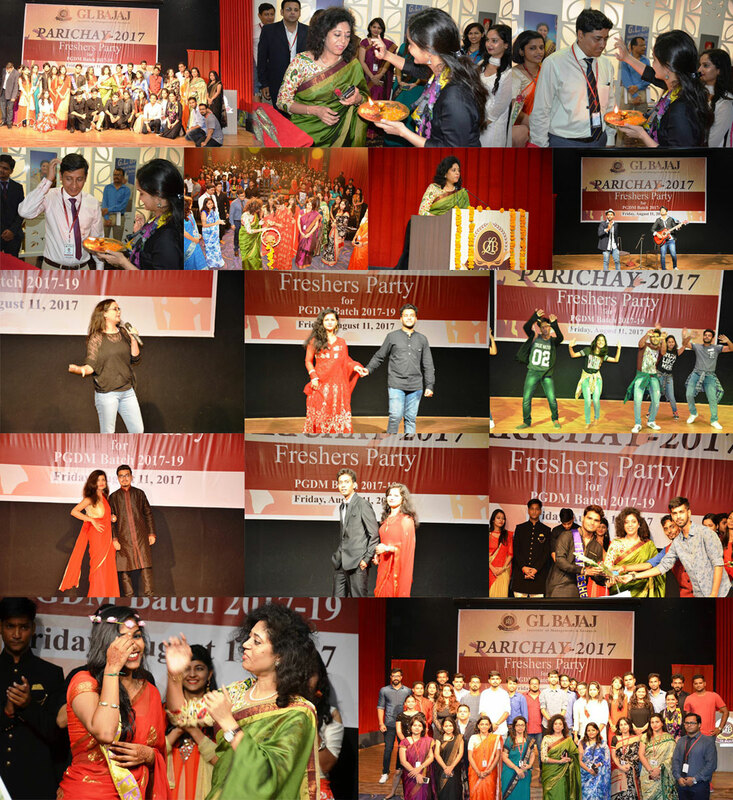 PGDM Batch 2016-18 welcomed the new Batch 2017-19 with a grand Freshers Party- “PARICHAY-2017”. Parichay aimed at breaking the ice between the seniors & juniors, making the new entrants comfortable and at ease. To mark the beginning of the party, ceremonial lamp lighting was done by Dr. Urvashi Makkar, Director General, GLBIMR along with students & faculty members. 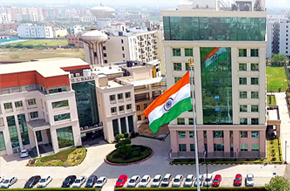 Dr. Makkar in her address welcomed once again the new batch with cheerful warmth and appreciated the final year students for their efforts and sincerity in arranging a grand fresher’s party. The day was filled with dance, music, excitement and enthusiasm. There were beautifully choreographed dance performances by Rahul Gupta & Group, Kstiz & Group, Prince & Group , and soulful singing performances by Apporve & Group, Yash & Group, Abhay of PGDM 2016-18, mesmerized the audience with his melodious voice and Beat Boxing by Alok was amazing. The gala event concluded with an extravagant DJ Party for the new batch. The energy on the dance floor was unabated and even towards the end the students were demanding for more!! !